ARCATA – Playhouse Arts/Arcata Playhouse is seeking two local artists to submit proposals for outdoor public art in the Creamery District. There will be a stipend of $3,000 for each successful proposal, which will cover the development and partial implementation of the artworks. Artists may access the request for proposals at arcataplayhouse.org or at the Playhouse on 1251 Ninth St. Proposals are due on March 1 at 4 p.m. at the Arcata Playhouse. 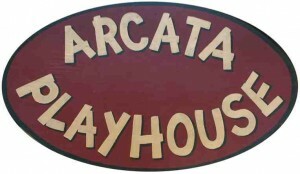 As part of its community building mission, the Arcata Playhouse/Playhouse Arts is leading a grassroots economic development strategy driven by public/private partnerships and centered on art, culture and design activities for the district around Arcata’s Creamery Building on Ninth Street. The Creamery District Project is based upon the strategy of creative placemaking to improve the physical and social environments such that artists, entrepreneurs, and property owners can prosper in a vibrant, authentic and diverse community. The Project has developed significant momentum through volunteer activities over the past 12 months. The project’s community dialogue started with a visioning workshop on Feb. 5, 2012 and a public open house on April 25, 2012. Also on Aug. 27, 2012, Playhouse Arts hosted an Artists Roundtable to brainstorm art-centric ideas for the district. On Sept. 8, 2012, a Creamery District Concept Design Charrette was hosted by the Arcata Playhouse and led by area architects and urban designers. The Creamery District Project is supported by a grant from the Humboldt Area Foundation: Grassroots and the National Endowment for the Arts: Our Town, Playhouse Arts, the generosity of several area businesses and the work of dozens of volunteers. The Arcata Playhouse is an established performing arts organization that contributes to the cultural livelihood of Arcata and Humboldt County with a mission to use the performing arts as a tool to build a community that is inspired and empowered to work together for common good. This entry was posted on Monday, February 4th, 2013 at 12:13 pm	and is filed under News, Scene, Business. You can follow any responses to this entry through the RSS 2.0 feed.